I’m working on a story now that I have burned to the ground at least 4 times and started over again. Sometimes you have to cut out things you like in order to make the story work, and sometimes you have to cut out EVERYTHING. It’s not fun going back to square one, but the hope is that it pays off eventually. 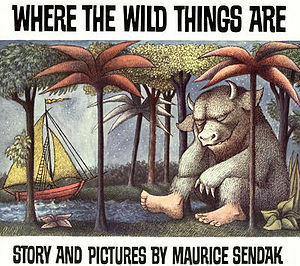 I came across this post about Where The Wild Things Are earlier in the week, and it was nice to see that Maurice Sendak not only had to do the same thing, but that he obviously nailed it after ditching most of his earlier attempt. Sometimes you get it close to right the first time, sometimes you don’t, and not even being Maurice Sendak can save you from this. Thinking you’re going to get a Where The Wild Things Are out of the process each time is probably a stretch, but sometimes the best thing for a story is to ditch what you have, and start over.